The musical Halloween gifts are flowing freely today (October 31), but we might have just got the best one yet: a new track from horror/synth master John Carpenter. Called "Vortex," the epic new composition is now fully streaming online. 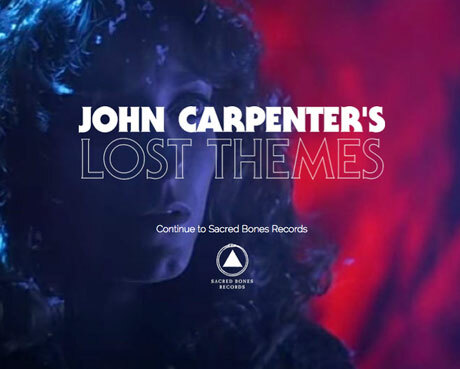 If you head over to Carpenter's website, you can stream "Vortex," which weaves together classic and familiar music bits from Halloween, Big Trouble Little China, Escape from New York and more into something entirely new and entirely fascinating. To add a little icing on all this, the track comes with a set of streaming visuals featuring some of Carpenter's finest cinematic moments. Hear/watch it all for yourself here. As previously reported, "Vortex" will appear on the upcoming Lost Themes, which will arrive in 2015 via Sacred Bones.